I am wearing some awesome nails today. 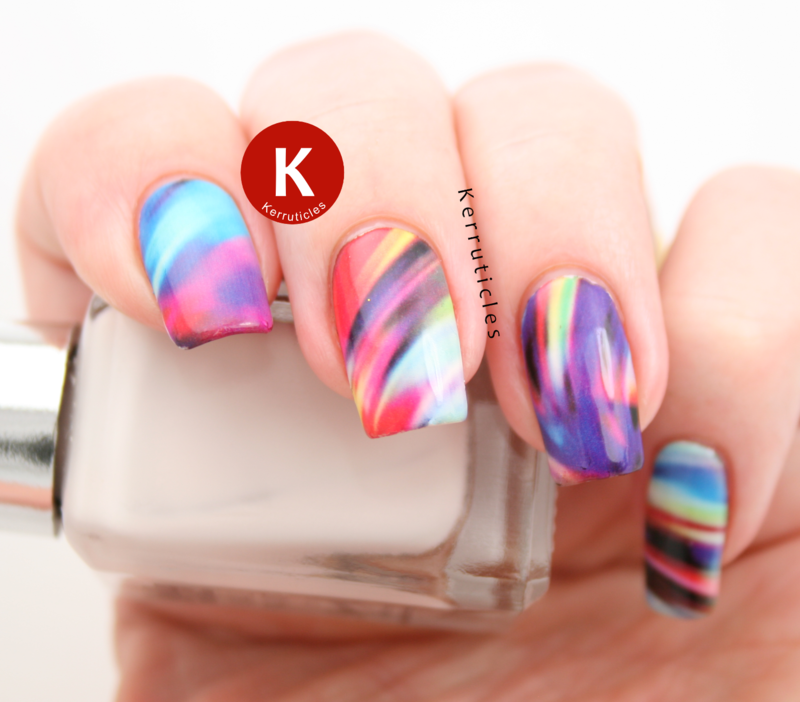 These are multi-coloured swirl pattern water decals, from Born Pretty Store. Aren’t they fab? Very funky indeed. I’ve placed the water decals over a cream base. They took longer than the recommended 10-20 seconds in soak to come off the backing card. It was more like 30-35 seconds for me. 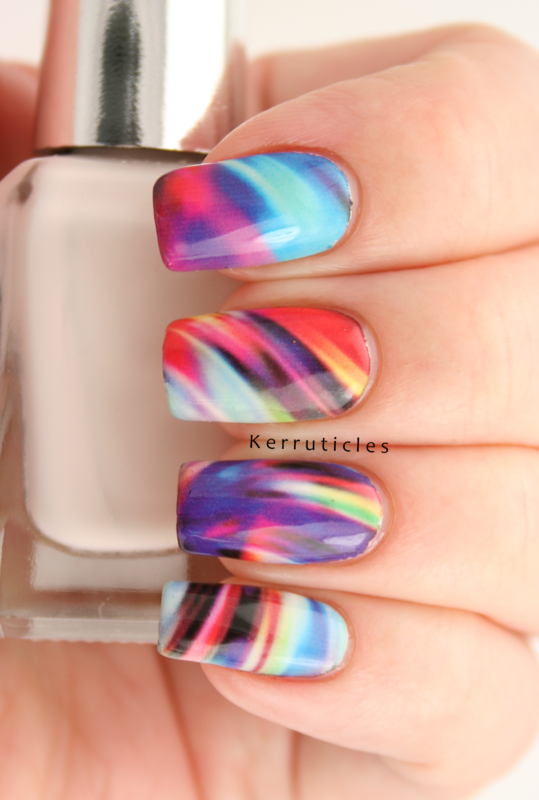 They also slid around a bit more more than I have experienced with other water decals. All my decals bar one set have come from Born Pretty Store, so maybe these are made slightly differently. But, I got there in the end, and it was just a case of getting used to these for a few nails. I can just get ten nails out of these sized sheets. With the sheet in landscape orientation, I cut four portrait shaped nails from each long side, leaving enough one landscape shaped piece from each short side. You have to do it carefully, to make sure you get ten of the correct size, but it can be done (for nails my length, anyway). 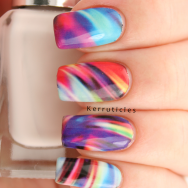 If you want to buy these, or any other nail art items from www.bornprettystore.com, then you can get 10% off non-sale items using the code ZSL91.